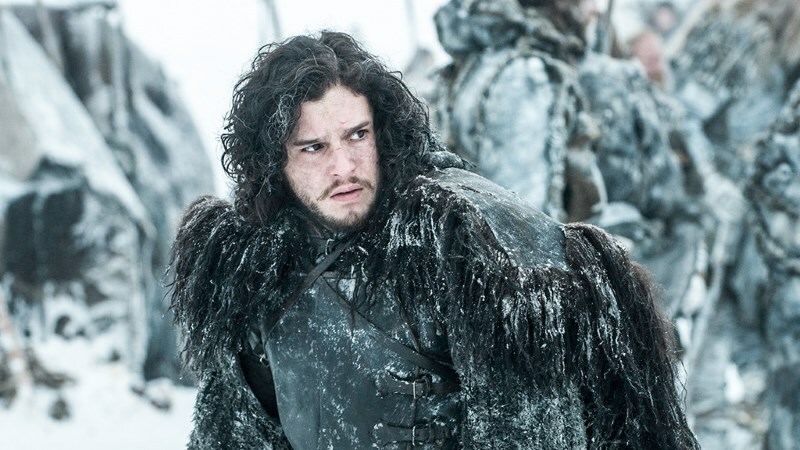 Game of Thrones is around the corner – 11 days for season six premiere in the US and 13 here in India – and it seems the developers at Apple have a lot of free time on their hands. 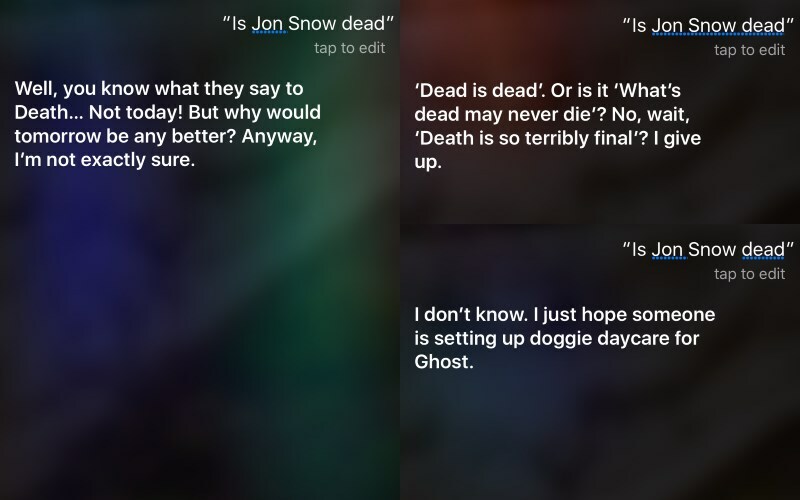 Siri, the digital voice assistant included with all iOS devices, has been programmed with a bunch of responses to different questions surrounding the show, Westeros, and its always-on-the-verge-of-death inhabitants. 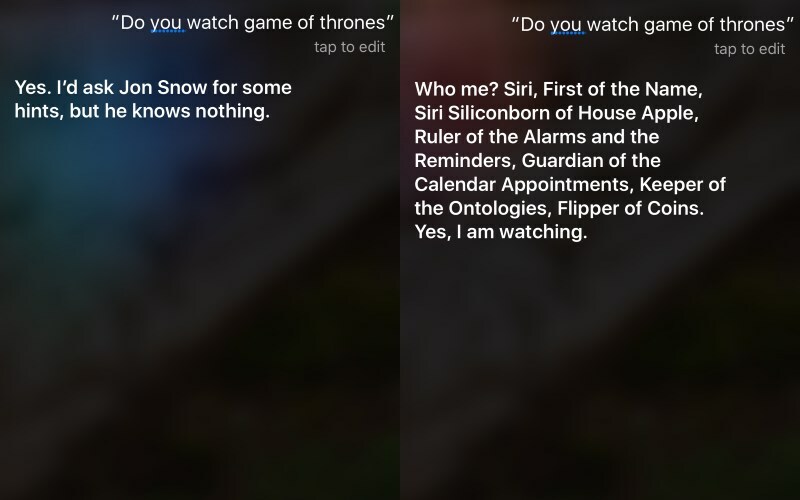 The first doesn’t make a whole lot of sense, and the second would be much better if it paid any attention to my geolocation. 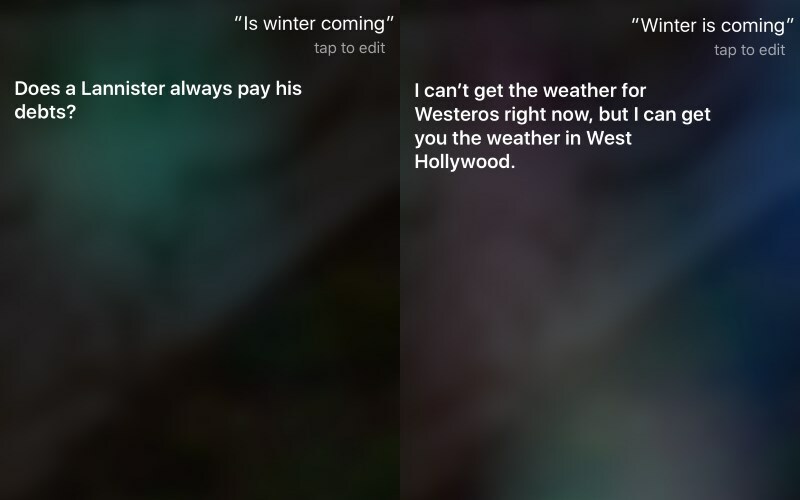 Also, once in a while, Siri will just resort to the quintessential “Hodor” response, a favourite among men both living and dead.